IIDM has introduced the Certified Digital Marketer Acceleration Program, its latest addition to its courses and modules for online marketing professionals. Last January 31, 2015, the International Institute of Digital Marketing (IIDM) proudly unveiled the Certified Digital Marketer Acceleration Program, the newest addition to the current lineup of courses and modules from the Philippines’ first and most successful digital marketing institution to date. Having gained international acclaim for its innovative Certified Digital Marketer (CDM) program, which allows aspiring and practicing marketing professionals alike the opportunity to hone their skills and learn digital marketing techniques through an online platform, the IIDM introduced the CDM Acceleration Program, a condensed version of the full, 13-course suite that preceded it. In lieu of the eight to 13 months that it typically takes to accomplish the traditional CDM courses, students now have the option of fast-tracking their accreditation through a quick yet comprehensive program that tackles the key tenets of the industry. 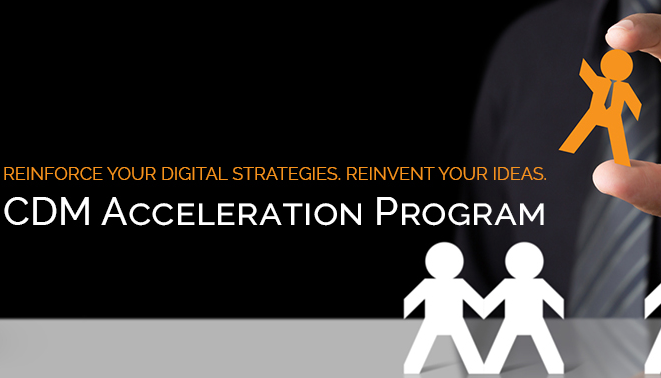 Though open to students of any background, the CDM Acceleration program is primarily geared towards practicing digital marketing professionals. Students who will accomplish the four-week course will find themselves equipped not only with the knowledge necessary for jumpstarting or reinvigorating successful careers in digital marketing, but also useful, practical skills and a comprehensive understanding of the industry as it stands today. Supplementing eight online courses are four eight-hour classroom sessions with some of the industry’s top practitioners from some of the biggest local and international brands. The CEOs, heads of digital marketing departments, digital media directors, and subject matter experts will serve as mentors for the program’s students, meeting with enrollees weekly to discuss topics like designing digital marketing campaigns, web and email marketing, mobile marketing, digital advertising, analytics, and industry trends and best practices. Currently on the lineup of program mentors are Havas’ Jos Ortega; Planu’s Reeza Custodio-Soriano; NuWorks’ Jeff Saez; DateOne Asia’s Matthew Edmunds; Google’s Denise Haak Luchangco, Jimson Gow, and Jolly Estaris; Spiralytics’ Jimmy Cassells; MEC Interaction’s Cynthia Dayco; aCommerce’s Ray Alimurung; MRM Worldwide Manila’s Jason Cruz; ABS-CBN’s Donald Patrick Lim; Lassu Loyalty’s Jim Griffin; the Philippine Daily Inquirer’s JV Rufino; Mobext’s Trish Elamparo; McCann’s Peach Natividad; and Tribal DDB’s Benj Espina. With the success of the first CDM Acceleration Program, IIDM is holding its 2nd run on February 28th, 2015. Limited seats only, reserve yours at imadigitalmarketer.com.